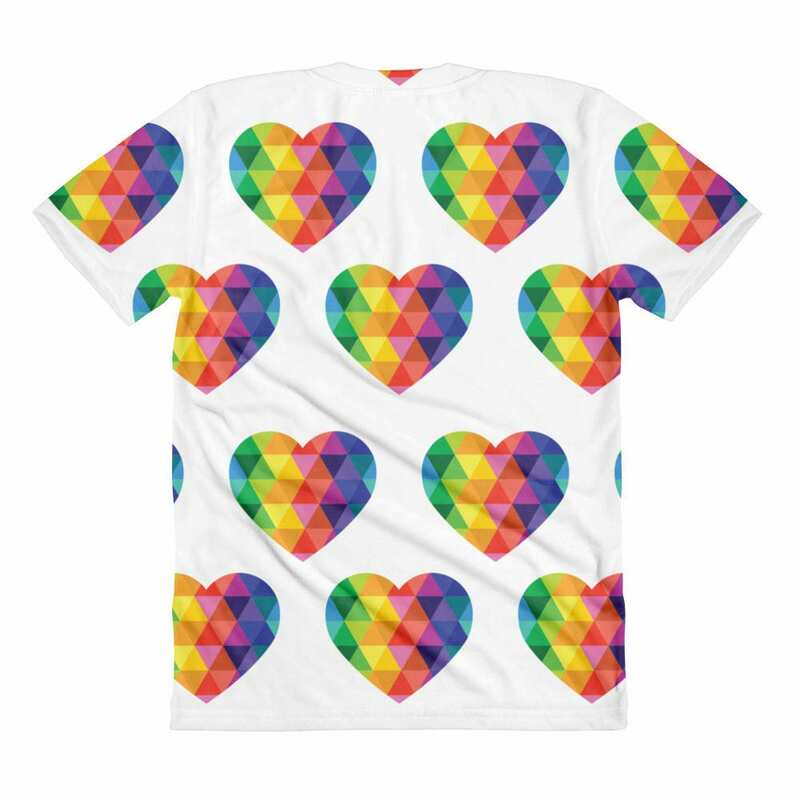 This is the best colorful heart love day print tee that you will ever find. 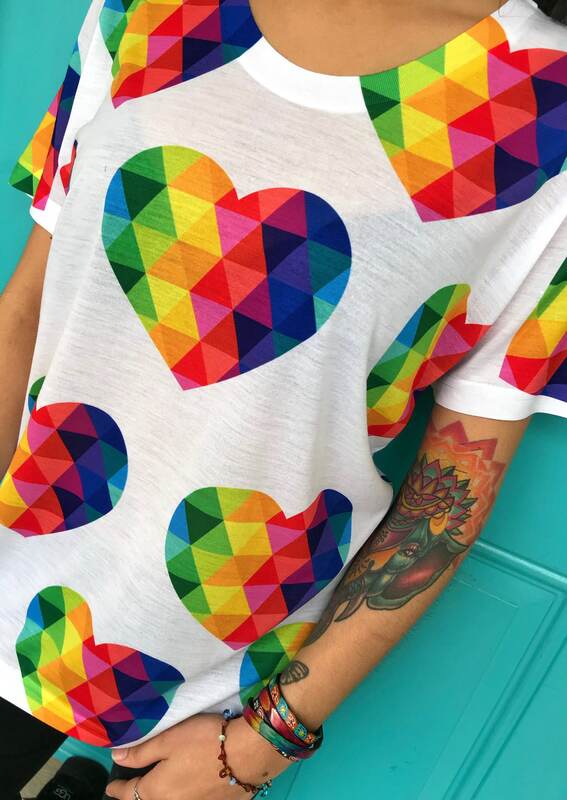 Heart rainbow vibes right here! 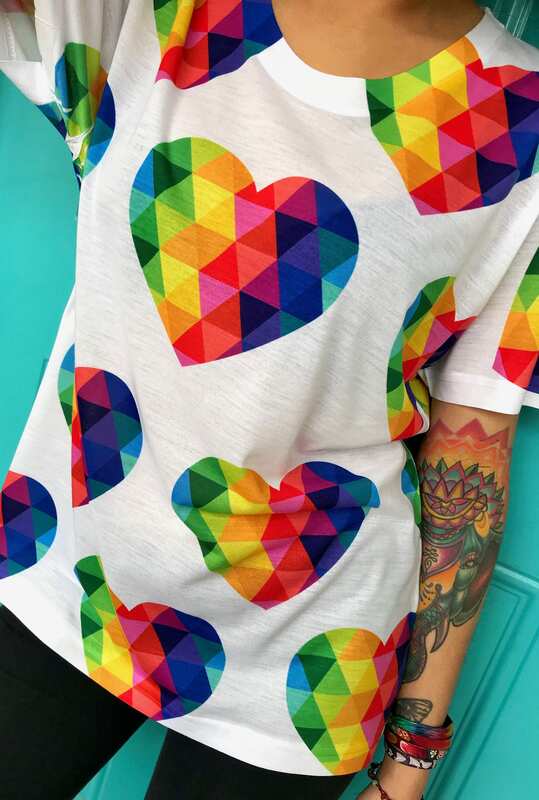 Show off your stylish self with this multi-colored triangle pattern. 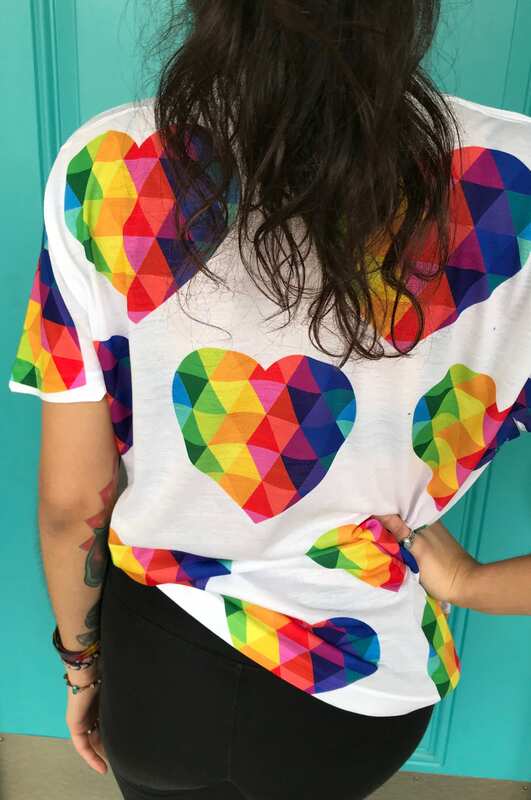 You will not find this colorful fashionable one-of-a-kind geometric hearts tshirt anywhere else. Is your friend, family member or coworker in need of some color in their life? 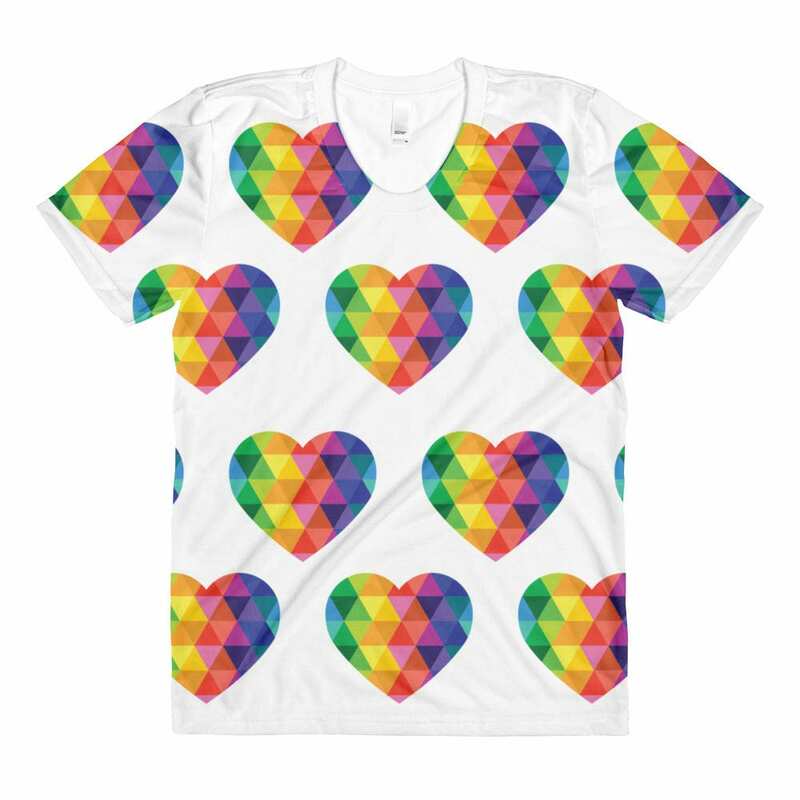 This rad all over hearts tshirt is the PERFECT gift for them. Or just buy the shirt for yourself. You'll love it too!